Notwithstanding the unflattering caricatures, mocking songs, and other portrayals of Napoleon Bonaparte as the number one enemy of England, the French Emperor had British sympathizers during the Napoleonic Wars. They were primarily liberal Whigs, who opposed the ruling Tory Party, criticized the absolute monarchs of Europe, and did not want the Bourbons restored to power in France. Here is a look at some of the most prominent supporters of Napoleon in England. 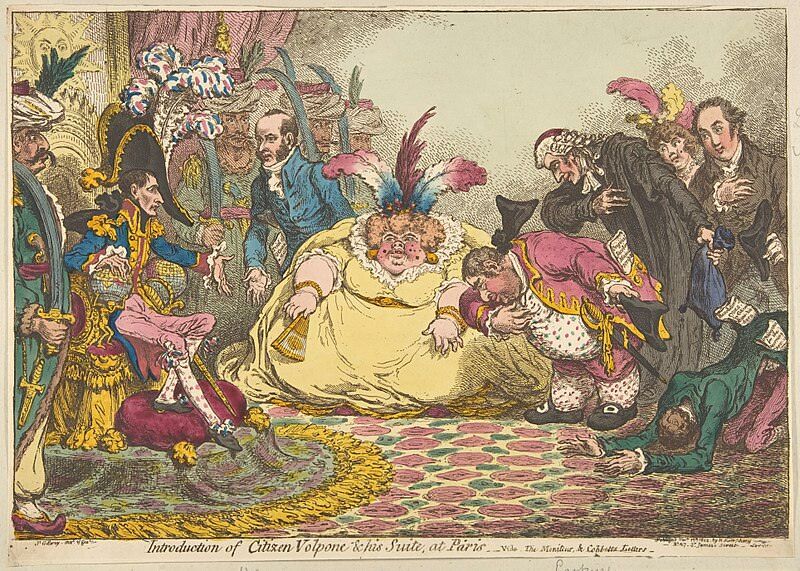 Introduction of Citizen Volpone & His Suite at Paris, by James Gillray, 1802. Caricature of Napoleon receiving Charles James Fox and his wife, as well as Lord and Lady Holland. Charles James Fox died shortly thereafter, on September 13, 1806. Fox’s enthusiasm for Napoleon was equaled by that of his nephew Henry, and especially Henry’s wife Elizabeth Vassall-Fox, otherwise known as Lord and Lady Holland. Lord Holland was a Whig politician who served as Lord Privy Seal in 1806-1807. Lady Holland was a wealthy heiress who married Holland in 1797, two days after her first husband divorced her on grounds of adultery. 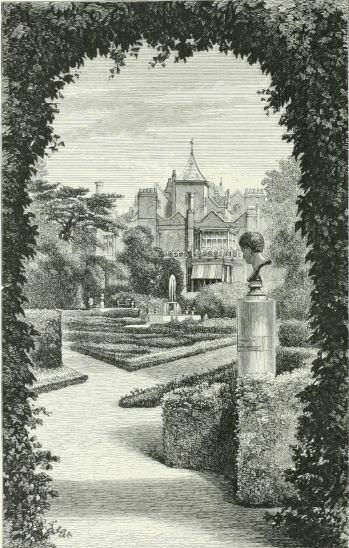 Together they hosted elite political and literary gatherings at Holland House, their mansion in Kensington, which was then just outside of London. Lady Holland persuaded Colonel Neil Campbell, the British commissioner on Elba, to take some English newspapers to Napoleon. One of these contained a paragraph reporting that the allies were considering moving Napoleon to St. Helena. This may have been a factor in leading Napoleon to plot his departure from Elba. While in Italy, the Hollands visited Napoleon’s brother Lucien Bonaparte. They also commissioned a bronze bust of Napoleon from sculptor Antonio Canova, to be placed in the garden at Holland House. In Naples (where the Hollands heard of Napoleon’s escape from Elba), they were entertained by Napoleon’s sister Caroline and her husband Joachim Murat. In June 1815, the Hollands were in Germany when they learned that Napoleon had been defeated at the Battle of Waterloo. They visited the battlefield on their way back to England. The Hollands were particularly upset by the British decision to exile Napoleon to St. Helena. In April 1816, Lord Holland entered a protest in the House of Lords against the bill on Napoleon’s detention. As detailed by John Tyrrell on his Reflections on A Journey to St. Helena blog, the Hollands tried to influence Sir Hudson Lowe, the newly-appointed governor of St. Helena, to treat Napoleon with leniency. In March 1817, Lord Holland made a motion in the House of Lords regarding the treatment of Napoleon at St. Helena, “to rescue the character of parliament, of the Crown, and of the country, from the stain which must attach to it if any harsh or ungenerous treatment had been resorted to.” (12) Lady Holland regularly sent Napoleon gifts on St. Helena, including food, eau de Cologne, an ice machine, and over 1,000 books and periodicals. As a token of esteem, Napoleon in his will bequeathed to Lady Holland a gold snuffbox that Pope Pius VI had given him. It was delivered to her by Generals Henri Bertrand and Charles de Montholon. Lord Carlisle urged Lady Holland to throw the snuffbox into the River Thames. LADY, reject the gift! ‘tis tinged with gore! And by that hand, which seal’d young Enghien’s fate. In a parody of Carlisle’s poem, Lord Byron urged Lady Holland to keep the gift. Byron was dismayed when Napoleon decided to abdicate rather than fight to the death or take his own life. 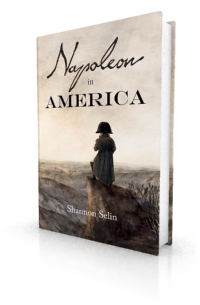 However, he was thrilled upon learning of Napoleon’s escape from Elba and return to France. When Napoleon abdicated for a second time, after his defeat at the Battle of Waterloo, Byron was again crestfallen. Like a number of Whigs, he had pinned hopes for political reform in Britain on Napoleon’s continuing success against the absolute monarchs of Europe. Between 1814 and 1816, Byron wrote five poems about Napoleon: “Ode to Napoleon Buonaparte”; “Napoleon’s Farewell”; “From the French”; “On the Star of ‘The Legion of Honour (From the French)’”; and “Ode (From the French).” While the first is critical of Napoleon, the others laud him. When Napoleon’s widow Marie Louise appeared on the Duke of Wellington’s arm during the Congress of Verona in 1822, Byron expressed his disapproval. Hazlitt’s obsession with writing a massive biography of Napoleon (The Life of Napoleon Buonaparte, four volumes, 1828-1830) contributed to the end of his second marriage. Hobhouse’s reflections were published anonymously in 1816 as a two-volume series of letters in which the author attempted “to disabuse his fellow countrymen on the subject of the return and last reign of the Emperor Napoleon.” (25) The book met with criticism in England. In the restorers of Buonaparte’s government [the author] sees nothing but pure patriotism and enlightened humanity – in Buonaparte himself he sees, and he alone, that grandeur of soul, and those regulated dispositions, which offered to France the surest pledge of political freedom under a mixed monarchical sway. In Paris he sees engaged under what he calls the last reign of the Emperor Napoleon, in the great work of political regeneration, an august body of senators, bred in the school of the revolution, and perfected for their great undertaking by the lessons and example of Napoleon the great. What may be the standing in life of this ingenious writer we know not; but the probability is that he has never heard of the horrid transactions of the revolutionary period, but in company with the stories of giants and enchanters, and cruel uncles and step mothers, related to him in his nursery; and that all these tales of blood, whether recorded of Bluebeard or Buonaparte, are forgotten together, or if remembered are no longer a subject of terror, but appear in the bright and innocent colours of infantine associations…. “A Morning Among Autographs,” Putnam’s Magazine, Vol. I (New York, 1868), p. 692. John Russell, ed., Memorials and Correspondence of Charles James Fox, Vol. III, (London, 1854), pp. 384-385. Papers Relative to the Negotiation with France, Presented by His Majesty’s Command to Both Houses of Parliament, 22 December, 1806 (London, 1807) p. 87. Orlo Williams, Life and Letters of John Rickman (Boston, 1912), p. 141. The Spectator (London), November 8, 1913, p. 17. The Spectator Archive, http://archive.spectator.co.uk/article/8th-november-1913/17/napoleon-and-lady-holland. Accessed September 19, 2018. Linda Kelly, Holland House: A History of London’s Most Celebrated Salon (London, 2013), p. 87. Harriet Leveson Gower, ed., Letters of Harriet Countess Granville, Vol. I (London, 1894), p. 57. C. Moylan, ed., The Opinions of Lord Holland, as Recorded in the Journals of the House of Lords from 1797 to 1841 (London, 1841), pp. 86-87. The Parliamentary Debates from the Year 1803 to the Present Time, Vol. 35 (London, 1817), p. 1138. Blackwood’s Edinburgh Magazine, Vol. XV (Edinburgh, January 1824), pp. 43-44. Thomas Medwin, Journal of the Conversations of Lord Byron: Noted During a Residence with His Lordship at Pisa (London, 1824), p. 235. George Gordon Byron, The Works of Lord Byron: Complete in One Volume, edited by Thomas Moore (London, 1842), p. 716. Thomas Moore, Letters and Journals of Lord Byron: with Notices of His Life (Paris, 1834), p. 170. Medwin, Journal of the Conversations of Lord Byron, pp. 223-224. R. Waller and Arnold Glover, eds., The Collected Works of William Hazlitt (London, 1902), p. 45. William Hazlitt, The Life of Napoleon Buonaparte, Second Edition, Vol. IV (London, 1852), pp. 118-119. Charles Lamb and Thomas Noon Talfourd, The Complete Works of Charles Lamb (Philadelphia, 1879), p. 308. Tom Taylor, ed., Life of Benjamin Robert Haydon, Historical Painter, from his Autobiography and Journals, Vol. I (London, 1853) p. 279. John Cam Hobhouse, The Substance of Some Letters Written by an Englishman Resident at Paris During the Last Reign of the Emperor Napoleon (London, 1816), Vol. I, p. 137; Vol. II, p. 154. Ibid., Vol. I, p. xiii. The British Review and London Critical Journal, Vol. VII, No. XIV (London, 1816) pp. 499-500. An interesting article, which highlights some of the more fanciful views of anti-Napoleonists in the United Kingdom (in this case, in England in particular) during the period, and indeed ever since. The criticism, levelled in the closing quotation against Hobhouse, portraying Napoleon the Great as a warmonger motivated by hatred of his English island neighbours, completely misses out the belligerent spirit and unjust aggressions of the English establishment and Royal Navy that provoked Denmark and Russia into alliance with France (1801 & 1807), and the United States of America into war (1812). It praises “our conquering army”, led by a general who made his name conquering and subjugating the peoples of India for the profit of the commercial “élites”, and derides Napoleon’s magnanimity and noble principles (the emancipation of religious minorities, for example) in defence of oligarchic tyranny, bigotry and oppression (Catholics and Jews, for example, being disbarred from office in the UK). All in all, well worth reading, as much for the courage of the subjects listed above, in the face of anti-English anglo-jingoism from those under the sway of the privileged few, as for the show of bad faith by the champions of a Royal house whose partisans would have us weep for a Duke*, but show no remorse for their cowardly murder of a young child sacrificed (along with many other innocents) during their Christmas Eve terrorist attack in 1800. *Under the laws of England and Wales, Enghien would have been liable to be hanged, drawn and quartered, for high treason (i.e. bearing arms against his country). Thanks for your comments, Paul-Napoléon. I know you are describing only a few and mainly elite British sympathisers, nonetheless the general question about how the English regarded Napoleon is still ambivalent. Especially once Britain restarted the battle against Napoleonic France and continued until Waterloo in 1815. I am sure the fears of a Napoleonic invasion of England were well founded. 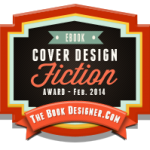 Love your articles and really appreciate the effort you put into them. Very thankful. Thanks, Maria. I’m glad you’re enjoying them. Other verses indicate ambivalence towards his militarism. But many of the commonfolk clearly didn’t buy the official propaganda that he was some sort of tyrannical monster. Very interesting article, as usual, especially for me, as a French. I was aware that Napoleon had some “supporters” in Great Britain, like the Hollands who acted generously when he was in St Helena. It is fascinating and sometimes, I must confess, a little exasperating to see how, today, almost 200 years after his death, Napoleon is generally seen in the anglosphere: a dwarf tyrant responsible for many wars (after all, they call them the Napoleonic wars, not the coalition wars…). In fact, it seems that many people, even well read, are not able to distance themselves from the cliches and from the good old propaganda. Luckily, some people like you, with your wonderful blog, show another side of the story, a more balanced one. This is brilliant! Thank you, Shannon! You’re welcome, Kathleen. Glad you liked it. Thanks for your kind words about the blog, Marie-Noëlle. Edwardes Square in Kensington was built near Holland House, and I believe there was some apprehension that it was being inhabited by Bonapartists who might stage a coup. Incidentally, I believe Lady Holland’s wealth was built on Jamaican slavery. Didn’t Nap restore slavery in some French possessions? Thanks, Geoffrey! That’s interesting about Edwardes Square. You’re right, Lady Holland’s grandfather made a fortune in Jamaica and left his plantations in trust for her, provided her future husband took on the name of Vassall. When her first marriage ended, her ex-husband got her fortune, but when he committed suicide in 1800, the Jamaican property reverted to Lady Holland and her second husband. Lord Holland thus supported abolition of the slave trade despite being a slave owner. You’re also correct in thinking that Napoleon restored slavery and the slave trade in Martinique and some other West Indian colonies (the 1802 law did not apply to Guadeloupe, Guyane or Saint-Domingue). I think it is possible for us to make some generalisations about this phenomenon. If you were a Foxite Whig or a Radical you were unlikely to buy the Loyalist caricature about Napoleon. If you were a nonconformist or a Catholic you were also less likely to accept the Loyalist narrative about Napoleon. I have been much impressed by Oskar Cox Jensen’s, “Napoleon and British Song, 1797-1822” which argues that “The historical reality is that across the British Isles, both during and especially after the Napoleonic Wars, the eponymous Bonaparte was better loved and respected by the general populace than Wellington, Pitt or the Prince Regent.” Of course the general populace had no political power. I forgot to say what a great post. You always write so beautifully. I have not figured out how to attach your blog to my reading list. Perhaps it is not possible to attach from this platform to blogger. At present I am doing a short piece on the original Duke of Sussex, a Whig and probably the most popular royal in his day, apart from Queen Caroline, the estranged wife of the Prince Regent/George IV (another supporter of Napoleon incidentally). Unfortunately my post will not be as polished as yours. Thanks very much, John. I’ve just read your excellent post on the Duke of Sussex (https://johntyrrell.blogspot.com/2018/10/the-duke-of-sussex-and-napoleon-peace.html), and I encourage other readers to do the same. It’s a great follow-on to this piece, as you eloquently highlight the Duke’s sympathy for Napoleon. Regarding Queen Caroline, if you haven’t already seen it, you might enjoy my post about her encounter in 1814 with Napoleon’s wife Marie Louise: https://shannonselin.com/2016/05/princess-caroline-met-empress-marie-louise/. I had not seen your post on the meeting of the two. Thank you for pointing it out. What a fascinating encounter. I was interested to read that Caroline told Marie Louise that she might go to Elba to visit Napoleon. My understanding is that Napoleon turned down her proposal of a visit – for political reasons I assume. I am willing to think him one of the best as I am sure he is the greatest of men.… He certainly has surpassed, in my judgment, Alexander & Caesar.